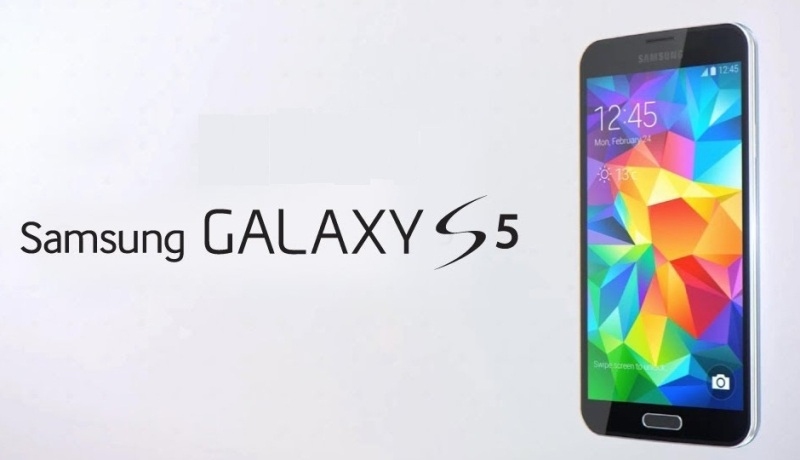 The Samsung Galaxy S5 was one of the most anticipated phones this year. Designed to be powerful and professional, it’s as feature-packed as ever, and certainly has a lot to offer. However, just like any other smartphone, the Galaxy S5 is not without its issues. With that in mind, we take a look at some of the most common problems that users have been experiencing with their Samsung Galaxy S5, and offer some potential solutions on how to fix them. Disclaimer: The Samsung Galaxy S5 is still a great phone and customers should not be put off by the problems listed below. You will likely not face any of these issues. Some users have reported that they cannot get their device to charge as quickly as they would like. In some cases, the phone does not charge at all, while in others, it only charges at a very slow rate. 1. This problem can take place after the phone has been exposed to water or experienced some form of shock from an accidental bump or drop. If your phone has suffered physical damage, then your only option will be to try and get a replacement handset. 2. Make sure that you are using the equipment that came with your handset. You should be using a wall charger and USB cable that was approved and sent by Samsung, as other accessories may use different voltage parameters and could cause charging problems. 3. Check whether the outlet is faulty by trying a different power outlet, or attempting to charge another device from the same power outlet. 4. Check that your USB cable is working properly by attempting to connect your handset directly to your computer or laptop. Some users have reported that the device does not respond to their touch as it should, or registers ghost touches. 1. Make sure that the protective case or screen protector you are using is not interfering with the touchscreen. Remove your case or screen guard and see whether the issue has been resolved. 2. Restart your phone by holding down the power key until your device vibrates and turns off, then turn it back on. This will delete any temporary files which could be causing the problem. 3. Go into your settings – display to see whether enabling increased touch sensitivity helps. 4. Make sure that your touchscreen is not dirty by cleaning it with a microfiber cloth. 5. Attempt to remove applications or widgets that could be causing the problem, or factory reset the phone and then selectively reinstall all necessary applications. 6. If you have completed a factory reset and you are still having problems, then the issue could be with the hardware or operating system within your phone. In this case you will have to approach your retailer or Samsung for a replacement. Some people have reported that the phoneoccasionally refuses to boot. Although buttons light up as they are expected to, the screen stays blank. 1. Try pressing on the battery in your handset to make sure that all of the pins are making contact with the phone. 3. When you can access your phone, try going into settings – accessibility –vision – dark screen, and ensure that this has been turned off. 4. Try removing your protective case or cover to see whether excess pressure is having an effect on the way that your phone functions. 5. A rogue application could be causing the problem, so attempt booting your phone into safe mode. If you no longer suffer with the issue in safe mode, then try doing a factory reset and being selective about the applications that you reinstall, or remove your applications one by one. 6. Back up any files that you do not want to lose and perform a factory reset. If this does not work, then you may need to contact your retailer or Samsung for a replacement. A lot of smartphones have issues when it comes to connecting to Wi-Fi, and it the Samsung Galaxy S5 is no exception. 1. Try turning your router and your Galaxy S5 on and off again. 2. Make sure that you are not in power saving mode, as this can have an effect on your Wi-Fi connection. 3. Go into your settings -Wi-Fi, and select the router that you want your phone to connect to. Choose the forget option, and set the connection up again from the beginning. 5. Use the Wi-Fi Analyzer app to determine which channel is best for you to use in your location, then go into your IP address and change the channel. 6. Check the MAC filtering that exists on your router to ensure that your Galaxy S5 is listed. Some users of the Galaxy S5 encounter problems when they try to connect their phone to their cars or other devices through Bluetooth. 1. Go into apps – settings – application manager – Bluetooth and select force stop. Tap to clear cache then restart your phone. 2. Check that your Bluetooth car system, or the device that you are trying to connect to is working properly by resetting it. You can cause the device to forget all pairings, and do the same thing on your Galaxy S5, before setting up the connection again. Some users have complained that they have issues with the audio when they are making calls. Either they cannot hear the caller, or the caller cannot hear them. 1. Hold the power key down on your phone until it vibrates and turns off, then remove your SIM card and take out the battery. Leave the phone alone for some time, then replace the SIM card and the battery and turn the phone back on to see whether the problem has been resolved. 2. Check the microphone on your phone. On the Galaxy S5, this is the small hole towards the bottom of your handset. You can use compressed air to blow into the hole and ensure that no crumbs or dust particles are blocking the sound. 4. Clear the Cache partition. See instructions on how to do this below. 5. If you are using a Bluetooth accessory, turn your Bluetooth off to check if this makes any difference. You may have to go into your settings and have your phone forget paired devices if this does not work. 6. If you continue to suffer from the same problem, then you will have to request a replacement. Server responsed at: 04/22/2019 12:55 a.m.